The ULTIMATE STX 16803 Package by SBIG! 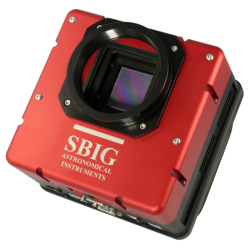 SBIG has a history of quality and value in their CCD cameras, and this amazing package deal takes that value and quality both even further beyond what's considered normal, reaching a whole new level! SBIG has packaged their STX 16803 with not just one, not just two, nor even just three extra items; no, they've packaged their camera with no less than seven separate items, not even counting the camera itself! Truly, this is the Ultimate in imaging value! Read on for details on each of the high value, high quality items included in the Ultimate Package! 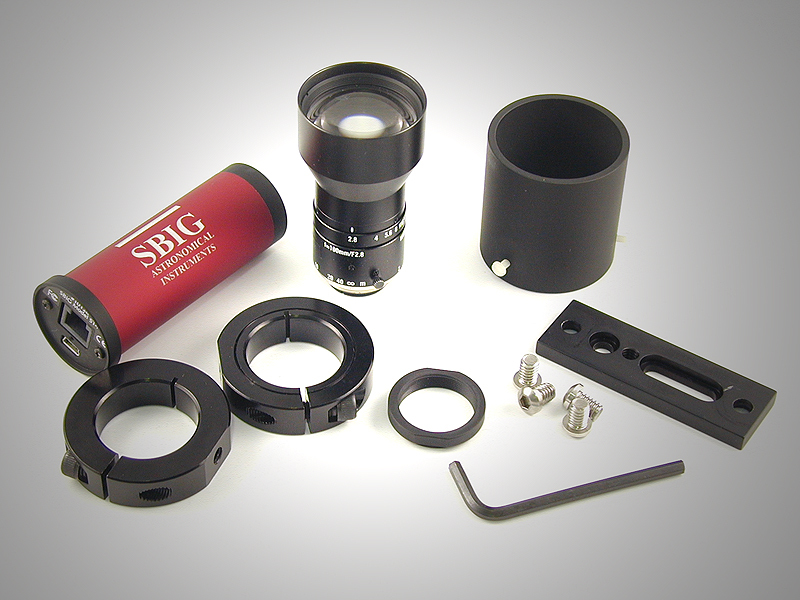 Built-in Guiding CCD with Adjustable Focus: Simple self-guiding and control of the SBIG Adaptive Optics accessory using just the internal tracking CCD will be a standard feature. The guiding CCD in the STX cameras will be a new KAI-340 CCD with 640 x 480 pixels at 7.4 microns. As the imaging CCDs get larger, the guiding CCD gets pushed farther away from the center of the optical axis. Depending on the nature of the optical system, this can cause the image on the guiding CCD to be slightly out of focus when the image on the main CCD is in focus. To address this, the new STX cameras will have a user accessible adjustment for changing the focal point of the on-board guiding CCD. 12VDC Operation: In similar fashion to the STL cameras, the STX will internally regulate a 12VDC supply so that the camera can be connected directly to any unregulated 12VDC source such as a car battery. The SBIG STX camera will have 4 power LEDs that will indicate if the supply voltage drops to 11, 10, or 9 volts and when it is "good." Operation of the camera is possible with a supply voltage of 9.1 to 14 volts DC. The KAF-16803 image sensor is a redesigned version of the popular KAF-16801E image sensor (4096 x 4096 pixel resolution) with enhancements that specifically target the needs of high performance digital radiography applications. Improvements include enhanced quantum efficiency for improved DQE at higher spatial frequencies, lower noise for improved contrast in areas of high density, and anti-blooming protection to prevent image bleed from over exposure in regions outside the patient. Utilizing Kodak's proprietary single gate ITO process and micro-lens technology, the KAF- 16803 image sensor with its large imaging area and small pixel size provides the sensitivity, resolution and contrast necessary for high quality digital radio-graphs. To simplify device integration, the KAF-16803 image sensor uses the same pin-out and package as the KAF-16801E image sensor. Self-Guiding Cover for STX Filter Wheels: This is an attachment for the FW7-STX or FW5-STX filter-wheels designed to turn said products into self-guiding filter wheels. The STX Guider is a simple object that attaches to the front of the FW7 or FW5, modifying them as mentioned. Self guiding is agreed upon by the vast majority to be the best and most accurate way to guide long exposure astrophotos with commercial SCTs. With most self guiders there is a common complaint, the difficulty in finding bright stars when guiding through dark or narrow-band filters. However, the STX Guider remedies this by incorporating a KAI-0340 CCD with 640 x 480 pixels at 7.4 microns, which attaches to the front of the STX Filter Wheel so that the guider picks off light from the intended guide stars before passing through filters. Indeed, you may recognize this guiding CCD as the very same sensor used in the ST-i autoguider. To further augment the effect of this Auto-Guiding conversion, the optical elements that transfer the light from the pick-off mirror to the CCD act as a 0.7x focal reducer. The result? The field of view of the guiding CCD is doubled, resulting in a correspondingly greater selection of guide stars, and remedying one of the main issues of most auto-guiding systems. Also of note are the two smaller adjustment knobs on the STX Guider; one for focus and the other for moving the pick off mirror to avoid vignetting. A third and final knob on the side of the unit locks these adjustments into place once your optimal focus is achieved. 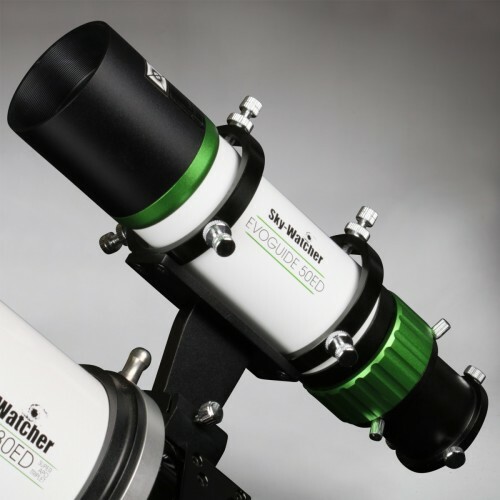 In addition, a short cable is provided to connect the STX Guider to the remote guide head-port on the camera, and the STX Guider is fully compatible with the AO-X adaptive optics accessory. 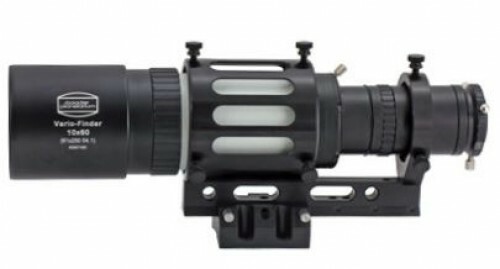 At the light weight of a single pound, the STX guider is highly portable; and it only consumes 3/4-inch of back focus, requiring absolutely no additional adapters to function. The ULTIMATE Package also includes an LRGB Filter Set, and three individual filters! Filters: Oh yes. Like a gift that just keeps giving, the Ultimate Package doesn't stop at a camera and it's filter; it goes the next step forwards to include all the filters you could want to use with the rest of the package! 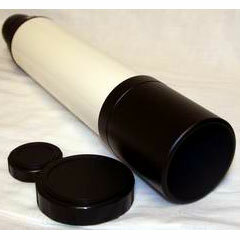 All the included filters are 50 mm, the exact size needed to fit and slot into the filter wheel. First and foremost is the LRGB set; a standard filter set including a Luminance Filter, a Red Filter, a Blue Filter, and a Green Filter. This is the basic kit-'n-kaboodle, but SBIG refused to stop there when designing the Ultimate Package! This package then goes on to include: a 7 nm H-alpha Filter, an 8 nm O-III filter, and an 8 nm SII filter! This means that this package includes a large array of different filters for your use, as needed. But the deals don't stop there! This package has one more splendid SBIG item in stock! AO-X Adaptive Optics System: The AO-X is a large aperture Adaptive Optic designed to be compatible with all STX and STXL series cameras, including the STX-16803, STXL-16200, STXL-11000 and STXL-6303. 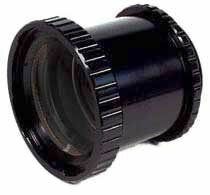 The AO-X requires minimal backfocus while offering a large 3-inch aperture optical element, which is large enough to cover the KAF-16803 CCD sensor. The AO-X will stack on top of the Filter Wheel and the STX Guider in your setup, working to provide the full benefit of adaptive optics to your imaging pleasure. It provides a definite stabilizing effect to jitters in your image capture...Whew!